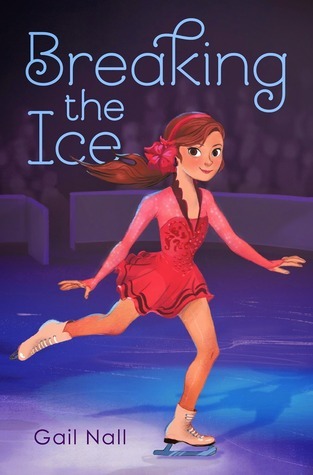 As a member of the Fearless Fiteeners, I was able to read an ARC of Gail Nall’s middle grade novel, Breaking the Ice (1/13/2015; Simon & Schuster/Aladdin). ARCs (Advanced Reader Copies) are the uncorrected proofs that are sent to reviewers, librarians, and book bloggers to promote the book. My fellow fifteeners and 2k15 classmates are sending their ARCs on tour, which allows us a sneak peek at these upcoming new releases. I’ve decided to let you all know about the ARCs I’m reading to help support my 2015 debut colleagues. Here’s the description: Kaitlin has always dreamed of being a champion figure skater, and she’s given up a lot to pursue her passion. 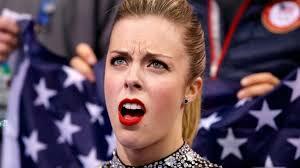 But after having a totally uncharacteristic and decidedly NOT figure-skating-approved tantrum after getting her scores at a major competition she’s dropped by her coach and prestigious skating club. 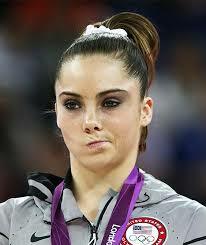 What I liked about it: Remember these famous faces of athletic disappointment? Well, these moments are nothing compared to Kaitlin’s tantrum after a skating competition that ends with medals on the floor and her expulsion from her training center. Kaitlin doesn’t quit, though, and as she trains at the Falton Club, what’s clear is she also doesn’t want to be defined forever by a single moment. What’s interesting, and often true, is that the trait that gets her intro trouble–her temper, passion, willingness to speak her mind–is the same trait that helps her later in the story on and off the rink. You don’t have to be a skater or even an athlete to enjoy this book because it also weaves in funny, heartwarming threads about friendship, family, and first crushes. Nall totally gets middle school girl; Kaitlin makes mistakes but picks herself up time and again as she tries to find her voice while navigating expectations from those around her. As a middle school teacher, I’m always on the lookout for new titles to add to my classroom library. This is definitely one that my students will enjoy. About the author: Gail Nall lives in Louisville, Kentucky with her family and more cats than necessary. She grew up skating, and as a teenager working at the local rink, she rented skates and made nachos (but not at the same time). She spends her early mornings writing contemporary middle grade fiction, her days working at a homeless shelter, and her evenings reading and trying to stay up past eight o’clock. Her obsessions include hiking and camping, travel, history, and food.